logistics « What Happened to the Portcullis? Global transportation network company Uber has launched Uber Freight – an online booking application “which aims to empower truck drivers and small trucking companies to run and grow their business”, according to a blog on the new Uber Freight site launched last week. Uber Freight has its own app, of course, which is available on iOS and Android. There’s a sign-up page for drivers, who will be vetted before they’re allowed to use the Uber Freight. The service “takes guesswork out of finding and booking freight, which is often the most stressful part of a driver’s day,” according to Uber, which says it’s dismantling a process that typically takes “several hours and multiple phone calls.”The blog explains that vetted users download the app, search for a load, and simply tap to book it. “We send a rate confirmation within seconds, eliminating a common anxiety in trucking about whether or not the load is really confirmed,” said an Uber Freight spokesperson. Another advantage of the new booking service is Uber Freight is committed to paying within a few days, fee-free, for every single load. Drivers can browse for nearby available loads, see destination info, distance required and payment upfront and then tap to book. Uber’s not the only company trying to change the trucking industry. Amazon is working on a similar service that would pair drivers with companies that need goods delivered. Manufacturers big and small are also working on bringing semi-or fully-autonomous technology to long haul trucks. Uber Freight is currently only available in the United States. This year’s American Shipper’s benchmark report examines the extent to which freight buyers rely on the art of negotiation versus the technological tools to refine the procurement process. It also looks at the background dynamics confronting procurement professionals to show why investment in technology is so important. Visit AmericanShipper.com – requires registration to download! It’s not an option for shippers and 3PLs to ignore the data that’s washing over the logistics industry anymore. And respondents to American Shipper’s most recent Transportation Procurement Benchmark Study, The Art and Science of Buying Freight, recognize that as much as anyone. 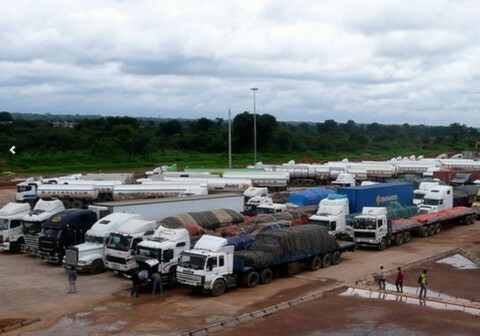 DRC – Tale of woe as Customs System brings Trade to a Halt! Democratic Republic of Congo’s (DRC) border post with Zambia, one of Africa’s busiest land frontiers, went high-tech, with a web-based customs system that was meant to improve efficiency and eradicate corruption. It’s not quite working to plan. As officials struggle to get to grips with the new system and DRC’s decrepit phone network groans under the weight of data, the Kasumbalesa border post 300 km (200 miles) north of Lusaka has almost ground to a halt, according to drivers and freight operators. The result is a tailback of trucks stretching at least 20 km into Zambia and a spike in prices in Lubumbashi, impoverished DRC’s second city, which has lost its one proper road link to the outside. The bottleneck is bad even by African standards but it throws into stark relief the problems governments face as they try to remove the numerous bureaucratic and physical barriers to intra-regional trade across the poorest continent. The Kasumbalesa blockage is being felt 100 km away in Lubumbashi, a bustling mining city of several million who rely on the 450 trucks a day that normally pass through the border laden with everything from biscuits to cement to paraffin. Shop owners are stockpiling and prices of staples such as casava powder – known locally as fufu – have gone up 50 percent in three weeks. “This has already had a big effect. It is causing lots of problems for the population,” Lubumbashi resident Charles Pitchou said. Kasumbalesa – at the heart of the relatively prosperous and developed Copperbelt – was meant to be an example of how to do it properly, a frontier handed over to a private firm to make customs run like clockwork. In one of the first public-private partnerships on African borders, an Israeli-run firm called Baran Trade and Investments won a 20-year concession in 2009 to build a “one-stop” customs post and operate it for 20 years. (Makes one wonder why the countries have a Customs authority in the first place?) With $5 million of Baran’s own money and a $20 million loan from the Development Bank of Southern Africa, the Zambia Border Crossing Company (ZBCC), as the subsidiary was known, had a streamlined Kasumbalesa up and running in 2011. Local media reports suggested much-reduced crossing times. However, Lusaka canceled ZBCC’s contract in late 2011 when President Rupiah Banda lost an election and his successor, Michael Sata, ordered investigations into a slew of state deals struck by his predecessor. TheBaran deal never went out to public tender and the fees charged to trucks – $19 per axle – were too high. It also said giving control of the border to an outside concessionaire was a threat to national security and that the reduction in waiting times was not as dramatic as the firm said. Baran’s chief executive, contacted via ZBCC’s website, did not respond to requests for comment. With Baran gone, the state-run border posts muddled through until September, when DRC upgraded its systems from ‘Sydonia++’, a set-up widely used in the 1990s, to a web-based successor called ‘Sydonia World’, freight operators and regional trade experts said. Although UNCTAD was pushing use of ‘Sydonia World’ as far back as 2002, the data burden was too much for DRC’s computer networks, which crashed. 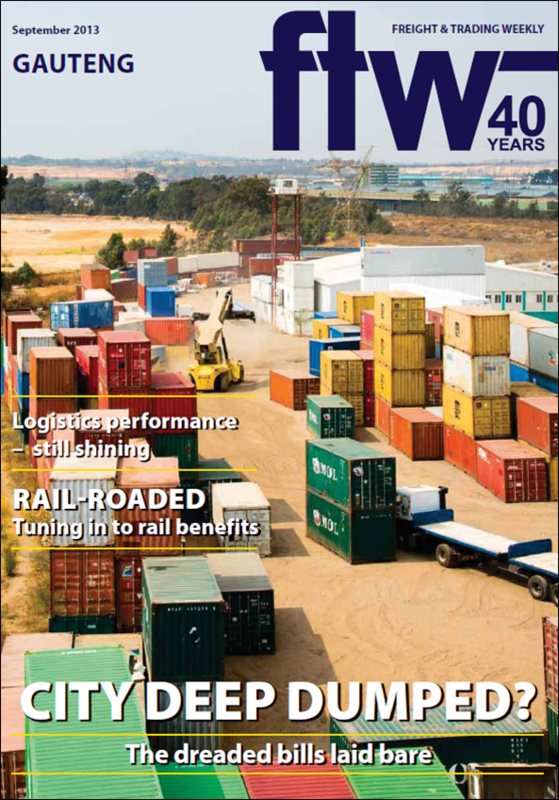 “The system is very good but if you don’t have a decent Internet connection, it doesn’t work,” said Mike Fitzmaurice, a South African logistics consultant and editor of online trade journal Freight Into Africa. National government spokesman Lambert Mende said a vice finance minister had been despatched from Kinshasa, 1,500 km away, to resolve the problem. Zambia too is pulling out the stops to get the border moving again in a region important to its economy. “We need to have a normal flow of goods and services because this affects the entire region,” deputy trade minister Miles Sampa told Reuters. One stop-gap solution has been to scan documents in low-resolution black-and-white, rather than full color, to ease the data burden. But even if the two sides iron out the immediate snafu, the fiasco has provided another example of the dream of a seamless, integrated African border crossing falling short of reality. Which country has the world’s longest railway network? The European Commission (EC) has announced new measures to get more freight onto Europe’s rivers and canals. It underlines that barges are amongst the most climate-friendly and energy efficient forms of transport but currently they only carry about 6% of European cargo each year. 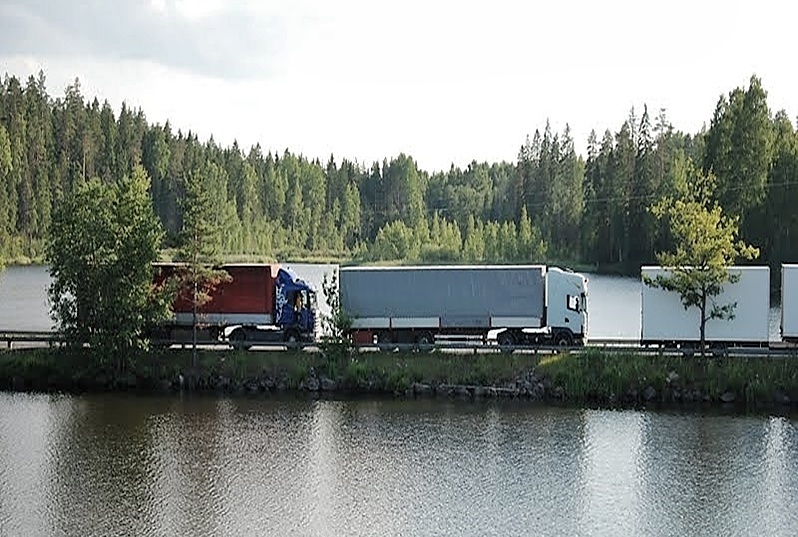 The new proposals intend to realise the “unused potential” of Europe’s 37,000 km of inland waterways, enabling freight to move more easily and lead to further greening of the sector, as well as encouraging innovation and improving job opportunities. “We already send 500 million tonnes of freight along our rivers and canals each year. That’s the equivalent of 25 million trucks. But it’s not enough. We need to help the waterway transport industry develop over the longer term into a high quality sector. 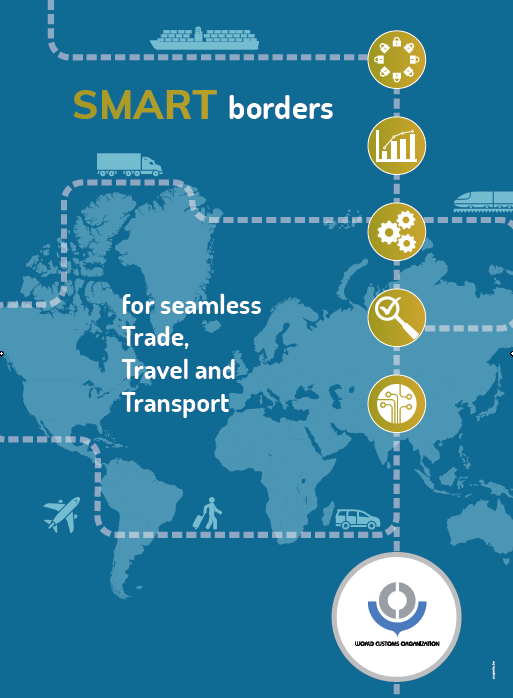 We need to remove the bottlenecks holding it back, and to invest in the skills of its workforce,” said the EC’s Vice President, Transport, Siim Kallas. The Commission is proposing to remove significant bottlenecks in the form of inadequately dimensioned locks, bridges or fairways and missing links such as the connection between the Seine and the Scheldt river systems which are hampering the sector’s full development potential. 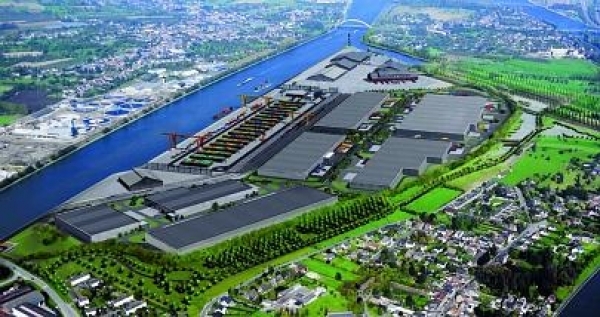 In August last year, Lloyd’s Loading List reported that a multi-billion euro project, the Seine-Nord Europe (SNE) Canal, to build a 106km, 54-metre wide canal to link the Seine and Scheldt rivers by the end of the decade, had suffered a serious setback, with doubts cast over private investment in the project. The French government continues to support the SNE Canal despite the conclusions of an audit into its financial feasibility which recommended that it be postponed indefinitely. It commissioned the over-hauling project which could be presented to the European Commission in its new form in the first quarter of 2014, the aim being to secure greater EU funding than that granted under the initial plans. The question posed by this thematic issue is one with considerable intellectual heritage. Surfaces have held a long-standing fascination for science, social science, and humanities scholars, whether figured as material interfaces,(1) natural structures, aesthetic phenomena, geometric projections, or fetishistic distractions. Surfaces may be sculpted, calculated, smoothed, camouflaged, magnified, represented, sensed, or commodified. They may be revered for their beauty, clarity, texture, accessibility, and biodiversity, or criticised for their opacity, ugliness, or for obscuring ‘underlying’ relations and processes. Indeed, while certain disciplinary, philosophical, and scientific traditions are (or have been) concerned with understanding and apprehending surfaces, many scholars—most recently Divya Tolia-Kelly (2013)—emphasise the importance of getting beyond the surface, uncovering underlying meanings, motivations, power relations, ‘feelings’, and processes of production: pushing beyond boundaries, scratching beneath surfaces. The academic inquirer is urged to undertake sub-surface investigations, functioning as an explorer, fisherman, or miner who trawls, excavates, or pioneers new depths. 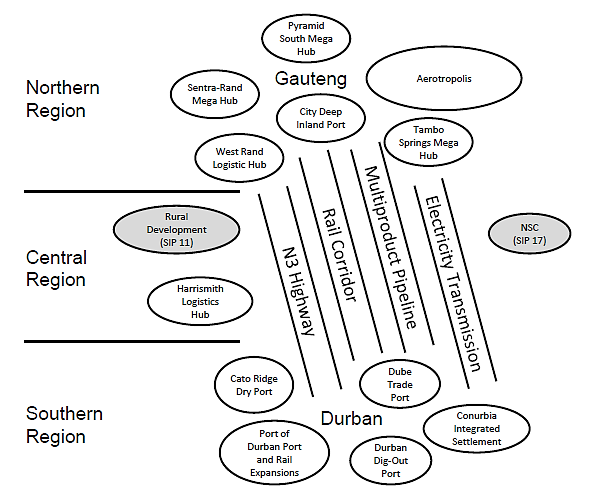 For Craig Martin (2013) surfaces exist first as logistical accomplishments, and are to be understood as physical phenomena crucial to the reshaped global geographies of commercial hipping and freight transport. Martin’s concern is with the advent of an intermodal, logistical system based on the standardisation of heavy-duty, corrugated metal boxes; otherwise known as the shipping container. This object, in which so many ordinary spatial interdependencies are invested, is arguably as close to a universal, surficial fix as global powers have got. The containers’ vital statistics and carrying capacities scale up to a planetary surface where integration is paramount, between materialities (of land and sea), mobilities (nautical and terrestrial), and sovereignties (political and legal). By these means, the specificities of earthly surfaces have been transformed into a commerce-driven sameness of sorts. So now I think….how long it will take me to save up £1000 to purchase a year’s subscription to this journal – perhaps just for this one article? Is Google moving into box tracking? The US Patent and Trademark Office has granted Internet search giant Google a patent on a system for securing, monitoring and tracking containers. According to United States Patent 8284045, it describes a two-way communication system, supported by an electronic bolt seal, a network gateway, a web-based platform, and a mobile device, that allows containers to be networked for the transfer of data. Shipping containers are networked for transferring data between the shipping containers. The shipping containers include sensors for detecting conditions associated with the shipping containers. 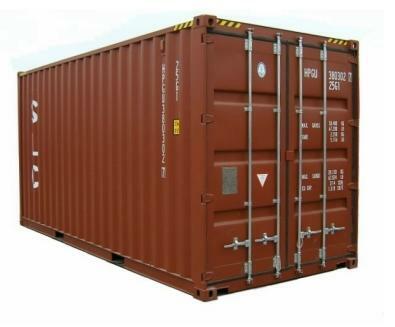 The conditions sensed by any shipping container whether transported by rail or ship is transmitted from an ad hoc network, via a gateway configured for satellite or cellular communications for example, to a container-tracking application server or equivalent computer system. The computer system is remotely located to the shipping container for central compilation, analysis, and/or display of data regarding the shipping containers. The system describes an environmental sensor that can travel with a product within a carrier’s logistics network. The environmental sensor being configured to sense an environmental condition capable of affecting the product to generate product environment data. The system includes a scanner configured to read product environment data from the environmental sensor. The system also includes a hub control unit configured to communicate with the scanner and receive the product environment data from the scanner and determines whether the product environment data transcends a limit of exposure of the product to an environmental condition. The hub control unit is also configured to generate a transporting instruction to redirect transport of the product to an alternate destination different from its original destination if the hub control unit determines that the product environment data indicates the environmental condition of the product has transcended the limit of exposure. What a mouthful! I dare say that there are people out there that can decipher the patent content and relate to its various diagrams. If you are interested in this topic, please visit the following link – http://www.archpatent.com/patents/8284045. Also visit the Patent Buddy for similar information. Hopefully as the business case for this patent unfolds things may become a bit more clearer – and perhaps a little sinister too for some!